*With Curling Canada currently revamping the Ice Technician Certification Program, we are withdrawing from hosting any Ice Technician courses until 2019! PLEASE SEE ALTERNATIVE OPPORTUNITIES BELOW! “I would be very interested in helping out any community that is interested in improving their ice conditions at their local curling facility. I will be performing ice maintenance at the Twin Rivers Curling Club on the weekend of Nov 30 – Dec 2 2018, and would be willing to host a clinic that would include flooding, scraping and pebbling. I would also include tips on equipment care and water quality. The cost of this would be $125.00(+tax) per participant for a one day clinic ( 8 hours ) and lunch would be included. I am also available to travel to any club in the Northwest, West Central areas to do a consultation on ice installation. The cost for this would vary depending on the time spent at the facility. My minimum fee would $100.00(+tax) plus travel expenses. My thought is that the best date for hosting a clinic would be Saturday Dec 1 2018 beginning at 9am. “Ice quality is one of the big key factors a club has to consider when it comes to making a club healthy, and grow. Bad ice, or ice that is not fun to play on, can make curlers frustrated and not want to continue curling. Or, if ice is really bad, it can put added stress on limbs and lead to curlers leaving due to injuries. On the flip side, great ice can attract teams to your bonspiels, and your current curlers may be more inclined to refer their friends to come try. So how can clubs or ice makers find out how to provide better ice? Sometimes it just doesn’t work with an ice maker’s schedule to travel to an event to volunteer, in order to watch and learn from the pros. Or there is not enough time to commit going to a weekend training seminar. – Water quality, including which purification system is best for your club. – How to add GLOW CURLING to your club to add another revenue stream, and make your young junior curlers have MORE fun. Great for small town clubs! 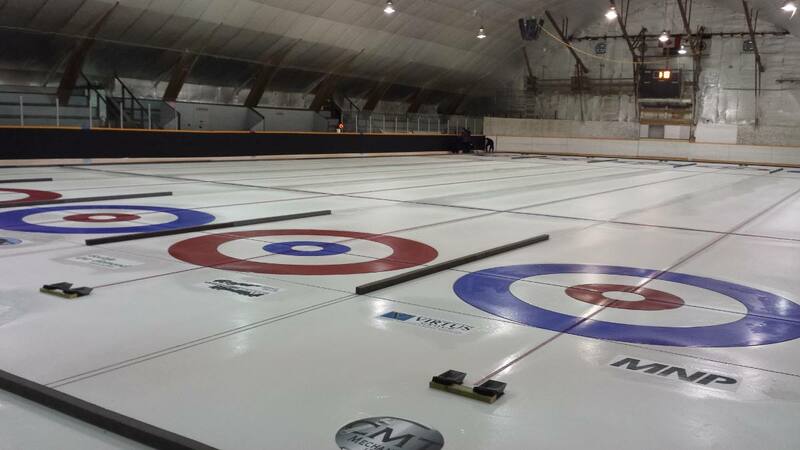 – I can prepare the ice at your club to a provincial/national quality standard for your big bonspiel or playdown event, while providing training to your local ice maker(s). – ARENA ICE – For those clubs looking to host an even bigger bonspiel that requires more sheets of ice than the club has available, I can install curling ice on your hockey rink ice surface. I will provide all the materials and equipment needed to provide arena ice, all the club has to do is locate rocks (which I plan to be able to offer at some point in the future). Having worked with a variety of equipment, and seeing where it can be improved upon, I am now starting to provide quality ice making equipment. My goal is to also offer it at an affordable price, so that even smaller clubs can afford to have quality ice making equipment. Currently I am able to offer backpack pebble cans, with comfortable straps that will reduce stress on the shoulders and back. They are far more comfortable to use than any other pebble can on the market. – Wider string mop – adequately overlap the center line AND divider line in 1 pass in rinks with no divider boards. – Affordable ice/air temperature and humidity monitoring system. I was also an assistant at the 2017 Tour Challenge Grand Slam in Regina, working alongside Mark Shurek, Darren Gress, and Mike Merklinger. I can offer hourly or daily rates for training/work at your club. For clubs in a bad financial situation that are trying to grow to survive, I may be able to offer lower rates in exchange for advertising at your club. I want to make help affordable to all clubs in Saskatchewan, as a thriving curling community helps us all! I am also able to offer remote guidance through messaging, if that is all that is required in your situation. While this can be provided free of charge, donations are greatly appreciated for my time. For clubs looking for unique bonspiel prizes, my girlfriend and I also make athletic home decor. We have items such as keychains, fridge magnets, trivets/hot pads, soap dishes, and christmas ornaments spanning various sports. Our curling decor currently consists of curling rock fridge magnets, christmas ornaments, keychains and soap dishes. All of our products are handmade by us in Saskatoon. We can also offer wholesale pricing for anyone looking to add them to their pro shop. 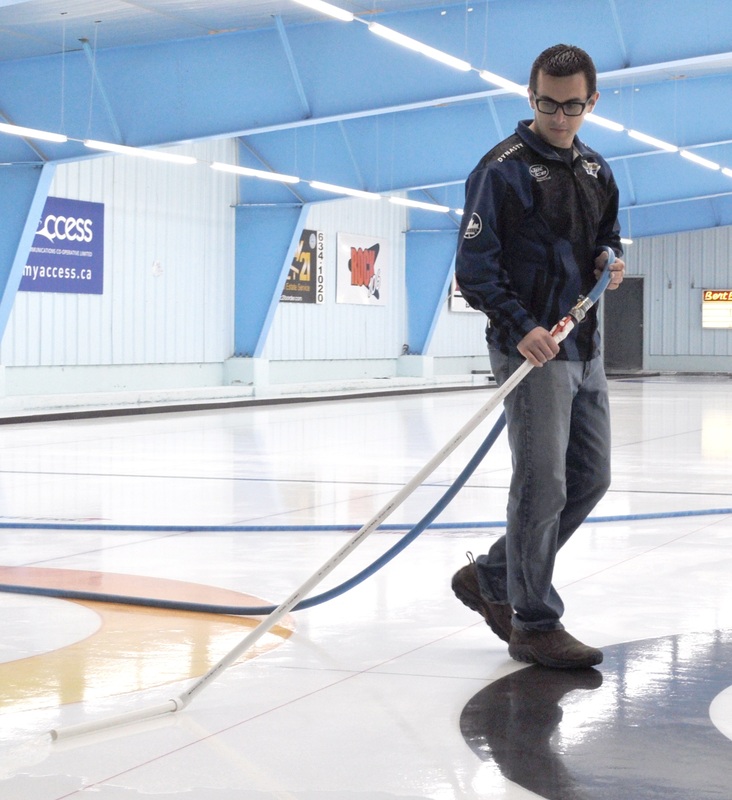 Jet Ice – Official Sponsor of Ice Technician Courses for CURLSASK! Curling Canada and CURLSASK recognize the need for a National Ice Technician Education Certification Program. Managers and Board members of clubs should strive to provide their memberships with quality playing conditions. • Minimum 1 season of Ice Technician Experience after completing the Level 1 Certification. Curling Canada is currently revising the Ice Techinician Certification Process, and we hope to communicate the upcoming changes soon! CURLSASK is always interested in working with sites to host Ice Technician Workshops. 1) Donate ice (minimum 2 sheets) and classroom facilities within the curling rink and ensure ice is booked. Grant access to the ice plant facilities and use of ice maker’s equipment for demonstration purposes. 2) Ensure participants have access to lunch counter/restaurant for meals. 3) Ensure accommodations are available for instructors and out-of-town participants. 4) Assist in recruiting participants by informing all the clubs in your area as well as other neighboring areas. Posters will be supplied to you by the CURLSASK Office. We would require a minimum of 10 participants for the course to run. 5) Forward any course participant names to the CURLSASK office accompanied by the participant’s cheque. 6) Provide a contact person in your community. This person is responsible for registering course participants on the first morning of the course and will be the person the course materials; equipment, etc. will be shipped to.